Plex channel is now available on Roku and you can enjoy a wide range of media content on Roku with the streaming media server Plex. How to set up Plex on Roku? How to receiving videos and movies on Roku from Plex? And how to enrich the library of Plex so that you can watch get more digital materials like Blu-rays and DVDs on Roku? 2. Add media content on to Plex library according to the type of your content (i.e. Movies, TV Shows, Music, Photos, or Home Videos). If you want to add Blu-ray and DVD movies to enrich your Plex library, copying Blu-ray and DVD movies directly from the disc will not work for you. Roku won’t play them for you. So the essentials here you need to prepare after setting Plex on Roku is a Blu-ray and DVD ripper. Some Blu-ray and DVD rippers can just rip common Blu-ray and DVD discs without any copy protection; some can just do DVD or Blu-ray ripping for you. Which ripping program can handle both Blu-rays and DVDs without being bothered by the restriction of annoying copy protection? Pavtube ByteCopy for Windows(best Blu-ray Ripper Review)/Mac can do great job! 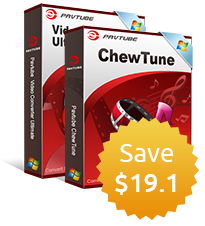 It can rip Blu-ray and DVD discs even with copy protection to MP4, AVI, MKV, MOV, WMV, FLV, and more for playback devices as well as for video editing programs. If you prefer to preserve multiple audio and subtitle tracks and chapter markers, this Blu-ray and DVD ripper can output some certain multi-track videos in formats like MP4, MOV, MKV and AVI. 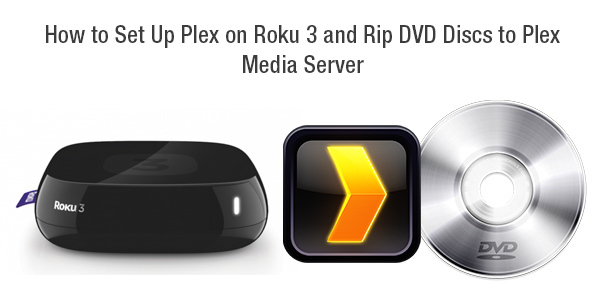 To watch Blu-ray and DVD movies on Roku with help of Plex Media Server, you’re required to rip Blu-rays and DVDs to Roku supported video formats. How to rip Blu-ray and DVD movies to Plex for Streaming to Roku player? Run the versatile Blu-ray and DVD ripper on PC and click “File” ＞ “Load from disc” to load Blu-ray or DVD movie for conversion to Plex and Roku. Tip 1. Mac users can rip Blu-rays and DVDs with a Blu-ray and DVD ripper for Mac. Tip 2. If you want a preferred subtitle and audio displayed on the output Blu-ray and DVD movie, just choose from “Subtitle” and “Audio” dropdown menu. 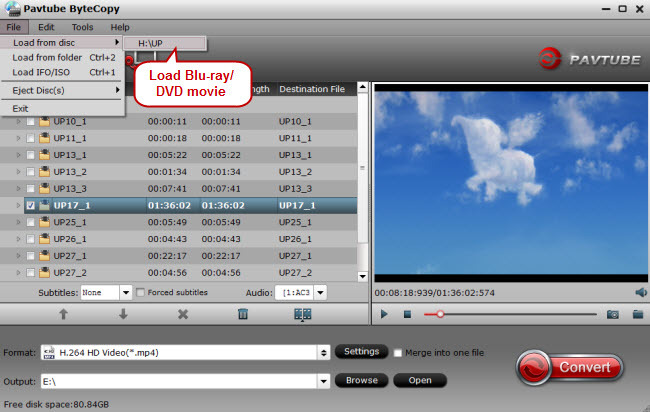 According to the above mentioned, you can set the output format as MP4 or MKV. 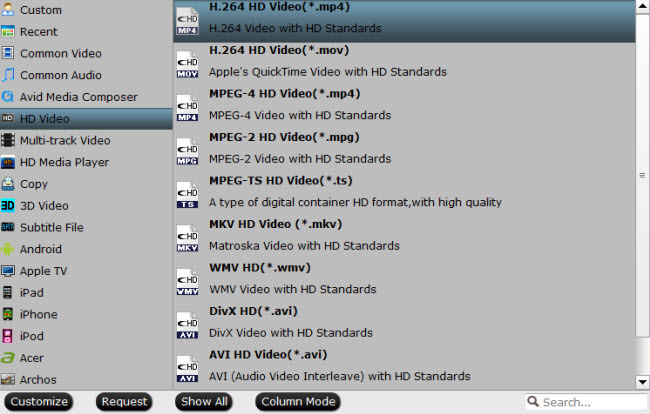 Click the format bar to follow “HD Video” ＞ “H.264 HD Video (*.mp4).” Of course you can choose other output formats from the output format list as long as they are compatible with the Roku media player. Tip 3. To extract audio from a Blu-ray or DVD movie, just choose an audio output format and the trim function allows you to save the audio clips you like. Hit the “Convert” button to start Blu-ray and DVD to MP4 or MKV conversion for Roku. After completing ripping all of your Blu-ray and DVD movies log in Plex server and add them to the library of Plex.